Chris and I are huge Rhone fans. 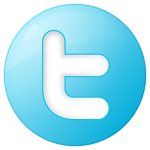 A few years back we attended a J.L. Chaves wine tasting at Sunfish Cellars. During the tasting, we had the privileged to meet Erin Cannon-Chave. Erin is the owner of JL Chave Selection, Erin imports the wines and is married to the winemaker Jean-Louis Chave. Since 1481, the family has been tending the vines from Hermitage. The Mon Coeur was actually created by Jean-Louis Chave in the late 1990s at the request of a Las Vegas hotel. It’s a blend of Syrah and Grenache from the Villages Rasteau, Cairanne, and Vinsobres, typically deep and textural. 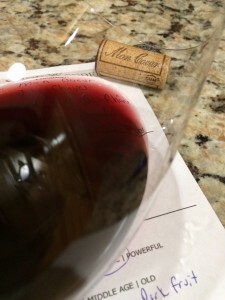 So why do I like Rhone-style wines? I like a more earthy herbaceous wine with a slight spice. Not too much black pepper and I prefer no white pepper. The wines are rich, supple and with this wine I even noted truffle as I tasted it. Our friend Robert loves these types of wines too. After my first sip, I had to text a picture to Robert. Aromatic, young-fruity with aromas of earthy, spice, dark fruit and truffle. Dry, full-bodied and lively acidity. Rich savory mid-palate flavors with a long lingering finish. 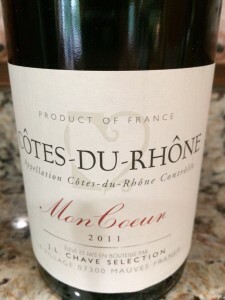 I rated the 2011 Jean-Louis Chave Selection Cotes du Rhone Mon Coeur four glasses.